Think-Dash: Space Tourism Is Getting Closer – and There’s Already a Way to Redeem Miles & Points for the Experience! Space Tourism Is Getting Closer – and There’s Already a Way to Redeem Miles & Points for the Experience! Have you been just about everywhere with miles & points? Do you think the Earth is a snoozefest? Then here’s some good news! Space tourism. It’s the natural progression of miles & points as technology moves closer to leisure travel above the atmosphere. You’ve probably heard of programs like SpaceX, Virgin Galactic, and Blue Origin, which are racing to introduce space travel to a demographic wider than just those with G-force centrifuge training. At the moment, the privilege does NOT come cheap. If you’re excited to take this next-generation step in travel, you can reduce the cost with miles & points, though it’s with miles that are a bit harder to earn. Wake me up when I can use the Southwest Companion Pass for the experience (that’d save us hundreds of thousands of dollars in a single trip!). Space Tourism Is Becoming a Reality! SpaceX, a space travel venture launched by Elon Musk, plans to fly a Japanese billionaire Yusaku Maezawa around the moon as their first-ever passenger in 2023. The flight will take ~5 days to complete. We don’t know how much it’s costing him, but right now it looks like space tourism is a multi-millionaire’s game. Though if you have the right miles, you can get tens of thousands of dollars off! Virgin Galactic isn’t offering to fly you around the moon, but they’ll instead perform a suborbital flight around the Earth for $250,000 per person. They say you’ll have a STUNNING view of the Earth, and experience 6 minutes of weightlessness. That’s nowhere near the duration of Yusaku Maezawa’s upcoming SpaceX flight around the moon, but it’s also probably nowhere near as expensive. 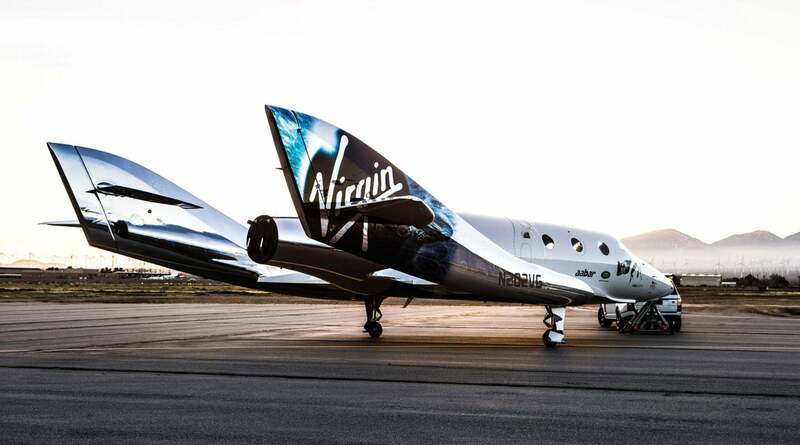 You can even knock 10% off a Virgin Galactic ticket by redeeming 200,000 Virgin Atlantic miles. That’s a value of 12.5 cents each (10% off the flight X $250,000 = $25,000 / 200,0000 miles). Not bad! You also have the option of redeeming 2 MILLION Virgin Atlantic miles for an entry into a drawing for a “free” flight on Virgin Galactic. But you must earn those 2 million miles by flying Virgin Atlantic. And they can’t be collected by transferring miles from another account. Fortunately, you’ll get the miles back if you’re not selected. Nobody can say for sure when mainstream space tourism will actually begin, though Richard Branson (founder of Virgin Galactic) has said that they are just 2 or 3 flights away from sending their first paying passengers into space. Are you excited for the next phase in leisure travel? Let us know if you’re on board for space tourism! Labels: Space Tourism Is Getting Closer – and There’s Already a Way to Redeem Miles & Points for the Experience!